Enjoy a day on safari in Amboseli with game drives morning and afternoon. 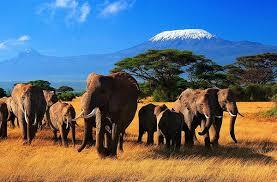 Towered over by the magnificent bulk of Mount Kilimanjaro (5‚896 m)‚ Africa's highest mountain‚ Amboseli is one of Kenya's oldest‚ famous and most-visited park. Endlessly panoramic‚ yet comparatively compact‚ it is dotted with emerald green swamps in which great herds of elephant wallow half submerged in the papyrus grasses. The permanent marshlands also provide a potent draw to hippos and buffaloes‚ while offering a haven for the abundant water birds. An International Biosphere Reserve‚ the park largely constitutes the usually dried-out lakebed of Lake Amboseli‚ which is surrounded by flat grasslands relieved by very few trees. On the plains are numerous antelopes‚ spotted hyenas‚ jackals‚ warthogs‚ olive baboons and vervet monkeys. 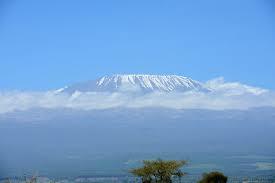 Observation Hill‚ a conical peak‚ which is easily climbed‚ offers stunning views of Mount Kilimanjaro. In the evening enjoy a traditional bush barbeque supper‚ which will be served adjacent to the lodge and will feature a display of traditional Maasai dance. 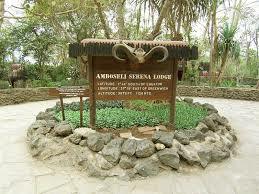 After an early breakfast depart for the Amboseli Airstrip‚ for your AIRKENYA flight to Wilson Airport. Your either end upon arrival at Wilson Airport or conveniently connect to any other Airkenya Masai Mara flying package.